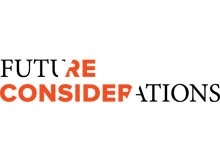 Future Considerations is a global consultancy. We know from experience that working in freedom - rather than fear - is what allows us to excel as individuals and as an organization. We know that decisions, ideas, and products developed in fear - or out of fear - are never as successful as when we ask ourselves 'what would we do if we were not afraid?' When we bring this to our clients, there is a sigh of relief, and excitement to reconsider what it would be like for their businesses if this powerful question were applied.